British Prime Minister David Cameron wrapped up his July visit aimed at boosting trade ties with the Association of Southeast Asian Nations (Asean) at a time when the organisation itself is in the countdown to the commencement of the Asean Economic Community (AEC) at the end of this year. His trip took him to four major players in the region beginning with Indonesia, followed by Singapore, Malaysia and finally Vietnam. That this was Mr Cameron’s first trip outside of the European Union (EU) since being re-elected in May is significant. To Mr Cameron it is clear that Britain needs to look beyond its current trading partners if it wants to remain competitive by tapping into emerging markets; such as those in rapidly developing Southeast Asia. Despite cramming his itinerary by visiting four countries in just four days Mr Cameron was consistent in highlighting the message that Britain will need to go to the ‘ends of the earth’ to sell its wares and Asean, which is set to become the fourth largest economy by 2050, fits perfectly into these plans. The visit, however, was not without controversy. Particularly during his Malaysian-leg where he met with Prime Minister Najib Razak, who is currently facing corruption allegations over his role in state-investment firm, 1Malaysia Development Berhad (1MDB). Despite being advised by some to cancel his Malaysian tour Mr Cameron decided to proceed with it, considering the bigger picture to boost trade with key regional players amidst a re-surging British economy. Britain will hold a referendum to decide on its future in the European Union (EU) next year. Should it decide to leave it will need to look elsewhere to sustain its growth and Mr Cameron is keen to show that there are still markets for UK goods and services, particularly in the East or even Latin America. With military procurements and greater importance attached on education among parents in the region, Mr Cameron believes that Britain will have to push hard to get its share of the pie. By embarking on a Southeast Asian tour Mr Cameron demonstrated not only a new foreign policy objective, but also an attempt to reassert the British influence in a region dominated by other major powers, such as the United States, China, or even India. While this is far from the notion of ‘Rule Britannia’, Mr Cameron’s Asean tour revolved around one of its key components, namely the economics necessary to keep his country growing. His strategy of looking beyond the EU was illustrated clearly when he wrote a piece in the Daily Mail contrasting the fact that Britain is selling more to Hungary than to Indonesia, despite the latter’s larger population. For his conservative government the key to Britain’s survival is to expand its trading partners from ailing EU economies to the more prosperous and growing ones far away. As of 2014 Asean-UK trade only stood at a modest US$10 billion. An increase in trade activities will be in line with Mr Cameron’s hope to double UK exports by 2020. 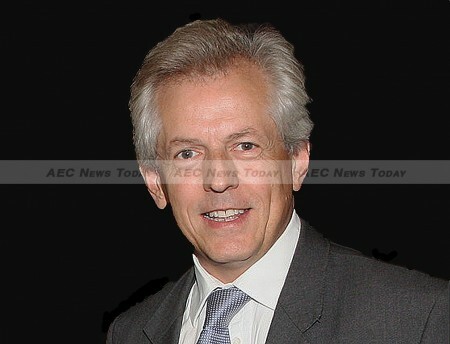 To spur this component Mr Cameron has appointed Gloucester member of parliament (MP) Richard Graham as trade envoy for the AEC. Mr Graham has in the past served a similar role in Indonesia on behalf of the British government. Mr Cameron’s visit is also pivotal for his domestic politics agenda to attract investments to the so-called ‘Northern Powerhouse’, that will in turn boost conservative popularity in the region. The initiative is aimed at continuing the growth of economies in northern England by US$86 billion in the coming years. More importantly, the ‘Northern Powerhouse’ initiative will also serve as a catalyst in rebalancing the country’s economic activities from the more prosperous south to the north. Cities such as Manchester, Newcastle and Liverpool are expected to play a greater role where together they will form a strong single economic unit, thus creating the so-called mini-London. His delegation, accompanied by business secretary Sajid Javid and more than 62 northern companies and leaders dubbed the ‘Northern Powerhouse Trade Mission’, told their counterparts in Malaysia and Singapore to look beyond London and start investing in the North. While countries such as Malaysia have already invested heavily in the Battersea Park redevelopment project in London, the promotion of this initiative should be viewed by Asean-based investors as ways to tap into opportunities generated from new infrastructure projects such as the HS2, a planned high-speed railway which will initially link the cities of London and Birmingham, or enterprise zones with favourable tax conditions in the region. As Britain faces a growing threat of extremism due to Al-Qaeda and more recently the Islamic State (IS), Mr Cameron also took the opportunity to spell out his counter-terrorism strategy to leaders, especially from Indonesia and Malaysia that are also confronting similar threats. The exchange of ideas in confronting the extremism threat will play a fundamental role in this regard as both Indonesia and Malaysia have been working hard to stamp out its roots over the past years. From Indonesia Britain can also learn from its strategy that has proven to be effective in reducing terror incidents over the past decade. That strategy relies on three key pillars, namely stronger law enforcement that applies less coercive measures, increased intelligence sharing among agencies including military and police, as well as a persuasive approach through counter-radicalisation programmes, are often being cited as the recipe to Indonesia’s success in combating extremism. On a wider spectrum Britain, together with other Asean countries, should also strengthen their intelligence-sharing mechanism in order to deter locals from using any port of entry as a transit point to the Middle East, where organisation such as IS is growing rapidly. The IS propaganda machine that has been attracting hordes of recruits from all across the globe will also necessitate Britain offering its expertise on ways to deal with foreign fighters, practical counter-terrorism works, and investigation techniques of possible terror plots. In return, countries such as Indonesia and Malaysia can provide advice on fostering a tolerant community through exchange programmes among religious and community leaders. As a kick-start, 50 police from Indonesia will undergo counter-terrorism training in Britain and it has been hoped that such programme will be expanded to include more agencies in the future. While Mr Cameron attempted to position his trip as a trade mission more than anything else, he still did not manage to escape from criticism as he met with embattled Malaysian Prime Minister Najib Razak. His visit, just two days after Mr Razak sacked his deputy, Muhyiddin Yassin, and attorney-general, Abdul Gani Patail, over the 1MDB corruption scandal, drew flak from local opposition leaders who demanded Mr Cameron take the moral high ground and avoid meeting the Malaysian PM. Mr Cameron had earlier lashed out at corruption as the “enemy of progress” to an audience in Singapore. Despite the protestations Mr Cameron still met with his Malaysian counterpart, though he had a tough message for the latter’s administration. During their meeting at Putrajaya Mr Cameron confronted Mr Razak and told him to clean up his government and he also voiced his concerns over opposition leader Anwar Ibrahim’s jailing earlier this year. “I don’t think it helps not traveling to a country and turning away. 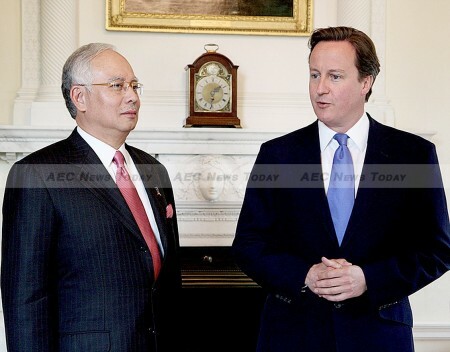 It is better to go and talk about these things,” Cameron told journalists prior to his visit to Kuala Lumpur. Signalling he had heard the concerns of the opposition and activists Mr Cameron also dispatched Sir Kim Darroch, his national security adviser, to meet with Nurul Izzah Ibrahim, Mr Ibrahim’s daughter, as well as a key leader in the opposition coalition. Regardless of the meeting or comments, Mr Razak’s administration is likely to face a daunting task in regaining public confidence with or without foreign pressure. Meanwhile Asean member countries should brush up on their knowledge of scones and cucumber sandwiches because the British are coming, though it might be a little premature to start learning the words to Rule Britannia. Chan Hoi Cheong currently works at a political research firm in Kuala Lumpur. He has in the past worked in London for a political and security risk consultancy as well as the National News Agency of Malaysia (BERNAMA). He graduated with a distinction in MA International Relations and the Media from University of Essex, Colchester.